Every time you turn on your computer, you're using your storage drive. It holds all your irreplaceable files and it loads and saves almost everything your system does. Join more and more people who are keeping their family videos, travel photos, music, and important documents on an SSD, and get the near-instant performance and lasting reliability that comes with solid state storage. Upgrade with the Crucial® MX500 SSD, a drive built on quality, speed, and security that's all backed by helpful service and support. Even if you've never installed an SSD, don't sweat it – our step-by-step guide walks you through the process to make installation easy. It's worth it. Save massive amounts of photos, music, and videos comfortably and securely. With fast access to your media, creations, and designs, you’re ready to share at the speed of your life. For many people, opening a computer and transferring data seems terrifying. That’s why we’ve made it easy in the step-by-step Crucial SSD Install Guide. Check it out before you buy, then install your own SSD quickly with everything transferred over successfully and hassle-free. As a brand of Micron, one of the largest flash storage manufacturers in the world, the Crucial MX500 is backed by the same quality and engineering innovation that has produced some of the world’s most advanced memory and storage technologies for more than 35 years. Split-second speeds, lasting reliability, and a decades-long legacy – upgrading with the Crucial MX500 gives you the best combination of quality, performance, and security. It’s worth it. Keep personal files and confidential data restricted from hackers and thieves with AES 256-bit encryption that meets all industry standards, including Microsoft eDrive, IEEE1667, and TCG Opal 2.0. Avoid unintended data loss when the power unexpectedly goes out. This built-in feature of our new NAND protects your data swiftly and efficiently, so if your system suddenly shuts down, you keep all your saved work. Prevent your photos, music, videos, and other files from becoming corrupted and unusable with layers of error correction and adaptive read technology. Protect your data at the component level with an SSD that automatically provides parity protection for your data. This high-end feature works similarly to how RAID is used with multiple hard drives and maintains the integrity of your data, especially for intense users. Because SSDs don’t use moving parts that wear out over time (unlike hard drives), your files are less susceptible to a crash. 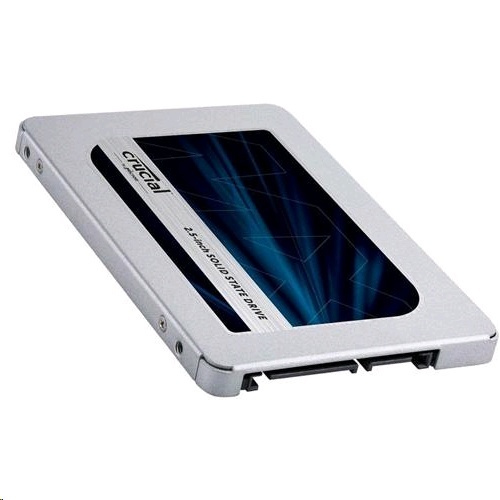 SSDs are better equipped to survive physical trauma, like getting dropped, because they don’t rely on mechanical parts.